Helping supply some of the materials to build a young family’s dream home was a responsibility Vaster Timber was more than ready for. When a young family decided to settle outside of London to create their perfect home, they had very clear ideas on how they saw things progressing. 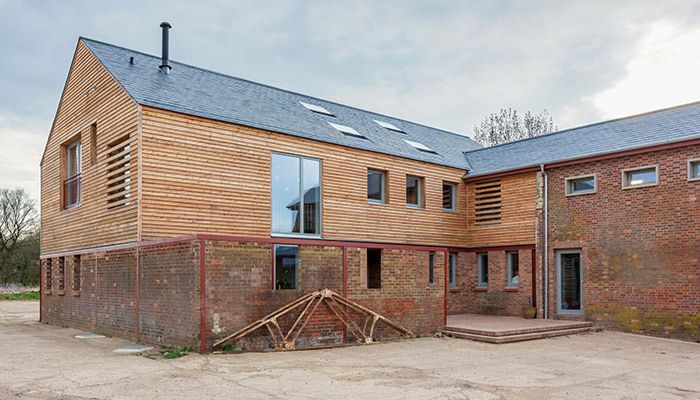 First of all, they wanted to use the existing walls of an old cowshed as a starting point, and continue with a holistic approach to environmental architecture. Two of their main designs stipulations were that the house should use locally harvested materials, and that it should blend seamlessly into the surroundings. A significant part of this was the external cladding. 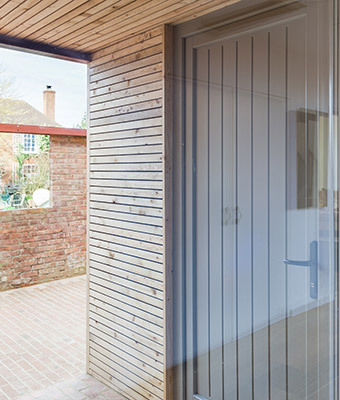 From both a build and aesthetic quality, the timber needed to be second to none. Vastern Timber supplied freshly sawn British larch feather-edge for all the external cladding. 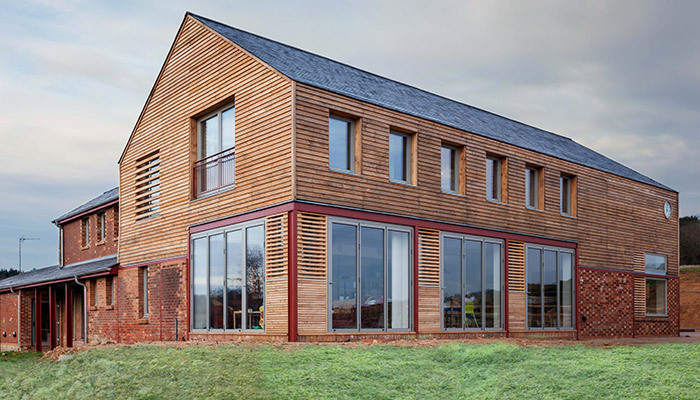 This offers a very cost-effective solution for those looking to clad a rural property – keeping their budget under control. All the British larch used was sourced from well-managed woodlands within a 100 mile radius of our sawmills in Wiltshire, including some high quality larch from Longleat Estate. 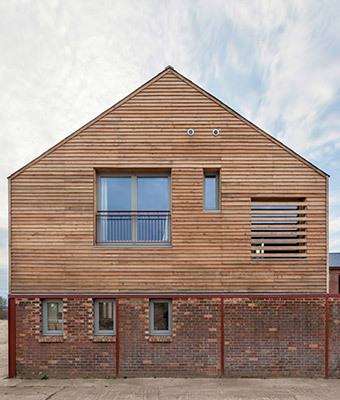 Meanwhile, to achieve a contrasting texture, machined Siberian larch cladding was used at ground level. Both achieved an A-plus in BRE’s Green Guide to Specification . To avoid staining of its unique finish over time, all protrusions of the façade, such as gutters and eaves, were eliminated by recess details. The results were stunning and the house complimented both the surroundings and the couple’s initial vision. Their wish to use as much of the original structure also meant reusing much of the existing fabric, steels and bricks. Even the authentic slab of the cow barn was left where it was, a timely homage to its predecessor – and another smart money-saving idea as it meant new foundations weren’t necessary. The clock, located in the gable of the original diary annex, was also salvaged and placed on the south elevation. The natural look and feel of the cladding helped pull all these elements together to create something altogether organic. We’re so proud to have been involved.